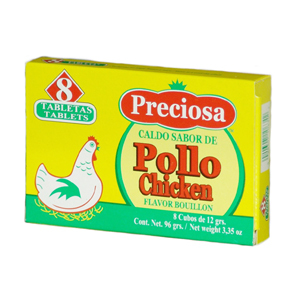 Great tasting chicken bouillon that will give zest when preparing your favorite meals. Top quality ingredients compacted into 8 little cubes for your convenience. Use one cube for your meal and save the rest for your next feast. This product is packed in Spain.